Internet is the major source of content and information now. Streaming videos, online multimedia files and downloading them are now the most common things associated with the usage of internet. But still there are times when we struggle to find the best possible tool to stream and download online videos and multimedia files. But we have some tools that can really help you get your job done easily. One such tool is Video Download Capture which downloads online videos on Mac easily. 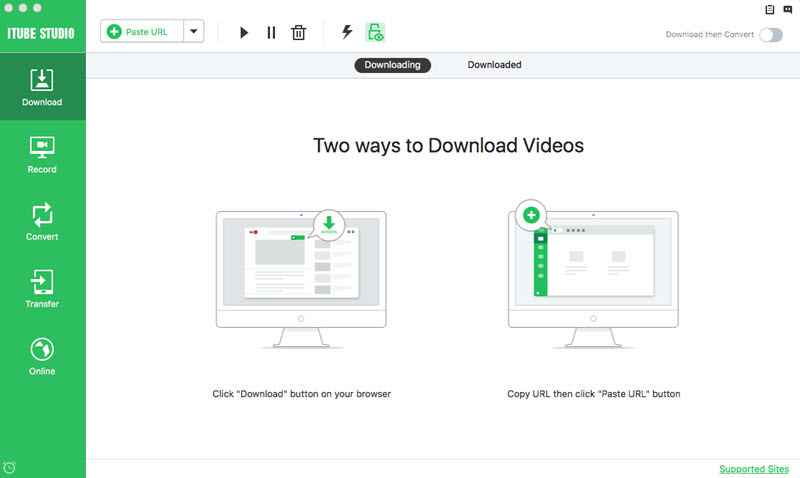 This comprehensive tool comes handy when downloading online videos on Mac. It uses advanced software technology for downloading videos streaming online from YouTube URLs, Daily Motion, etc and capturing live videos. Downloading or capturing online streaming videos from various online video streaming sites is possible through Video Capture Download. This allows downloading or recoding the live video streams. After the video has been downloading, the file can also be converted through the internal functionality of the tool. This also allows downloading videos in various resolutions. One such comprehensive application is iTube Studio Mac which allows easy download of videos from various sites in any resolution. iTube Studio for Mac is one tool which allows easy download of videos online. 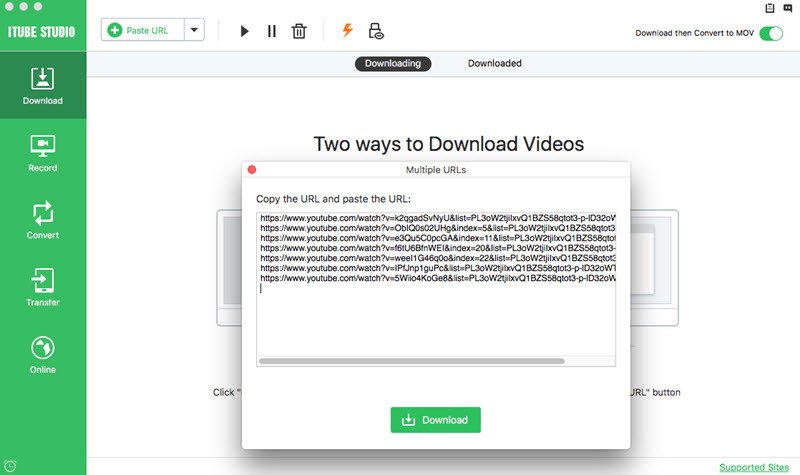 There are two methods in which videos can be downloaded using this tool. But you need to know the URL link of the video online to be able to download the video through this tool. This is a free web application and can download videos from YouTube, Facebook, Dailymotion, etc. To download any video file online, all we need is the URL of the page where the video is located. Enter the same URL in the textbox provided in iTube Studio and then download the video by clicking on “Download”. iTube Studio will start fetching download links in various formats of the same video for you to choose from and download. For Mac, the application support output video formats like MOV, MP4, WMV, AVI, 3GP, FLV, etc. 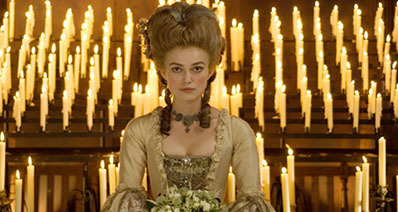 Online streaming videos can be directly downloaded to MP3. Download iTube Studio and install the application on Mac. After you are done with the installation, run the program and the following screen will appear. 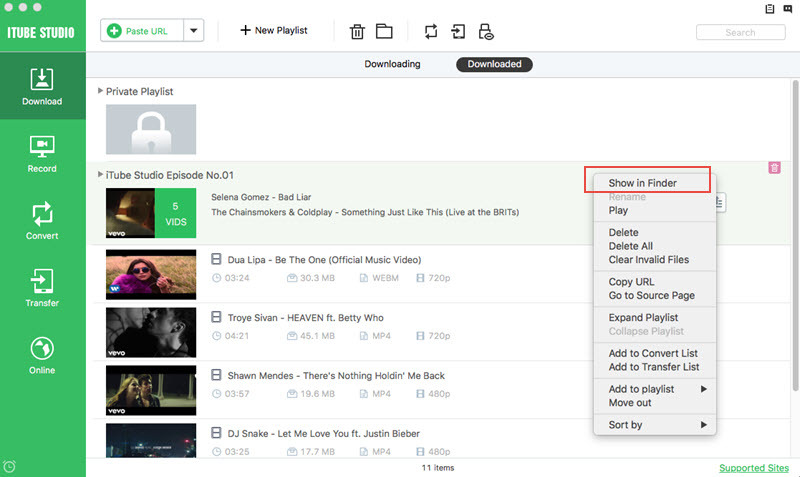 Through iTube Studio, there are 3 methods to download video file. You can either search for the favorite video to download through the inbuilt browser or copy and paste the video URL to download in iTube Studio. If direct download is not possible due to unsupported video pages, the video can be recorded. Step 1 Copy the URL of the video page as shown in the below picture. Step 2 After copying the link address, Click the “+ Paste URL” button and this will start the downloading process as shown in the image below. Step 3 After the video is downloaded, the video file can be seen in “Downloaded” section. You can right click and choose “Show downloaded files” to find the video on the Mac. The video can later be transferred to any device. Step 1 Launch any browser like Safari, Chrome, Firefox and go to the page which has the video you want to download. 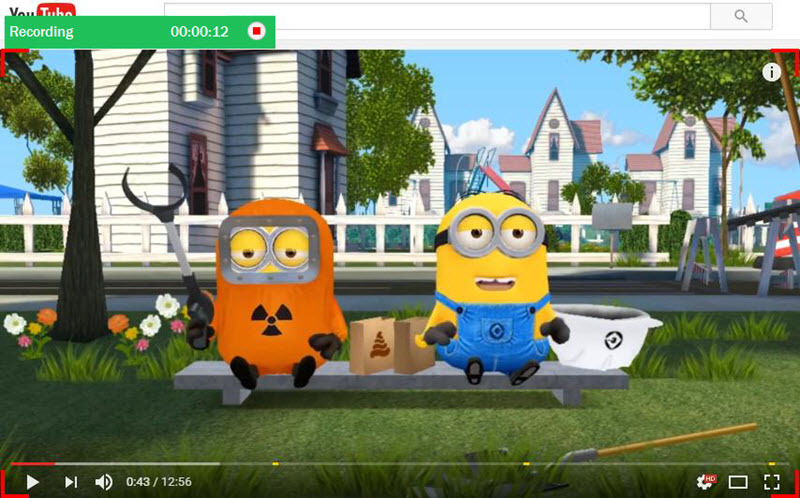 Play the video and while the video is playing, a download button will appear automatically. 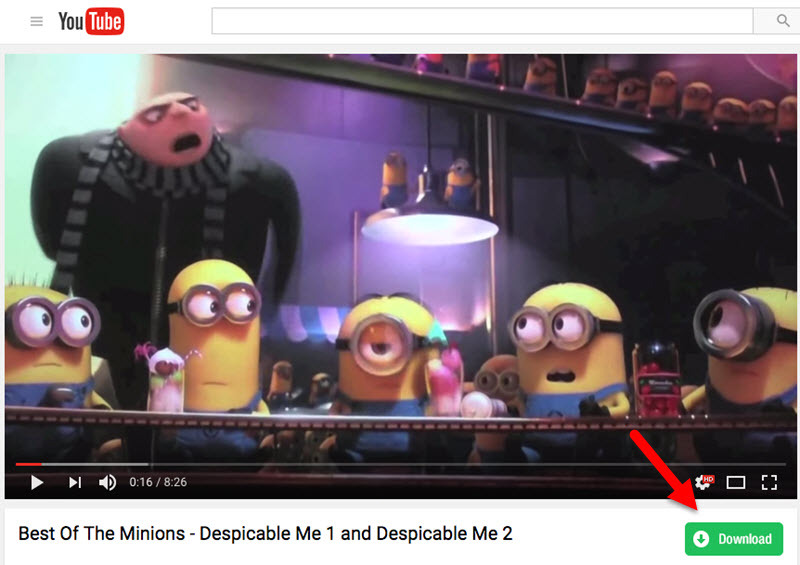 Click the “Download” button and select the resolution to start downloading the video. Click on the video and play the video. Click on the desired quality of video which is to be downloaded. The video will start downloading automatically. Apart from downloading videos by pasting the URL in iTube Studio or through inbuilt or other browsers, iTube Studio also allows recording files which comes handy when it is difficult to download videos due to unsupported video pages. After iTube Studio is downloaded and installed on Mac, run the application and the following interface will appear. Click the “Record Video” button which is present at the top. Open the website from which the video is to be recorded, say in this case YouTube. 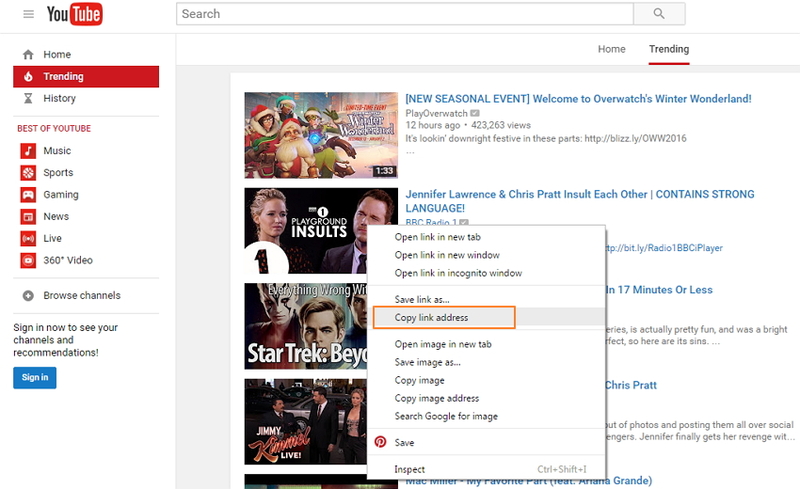 Open YouTube and choose the desired video. 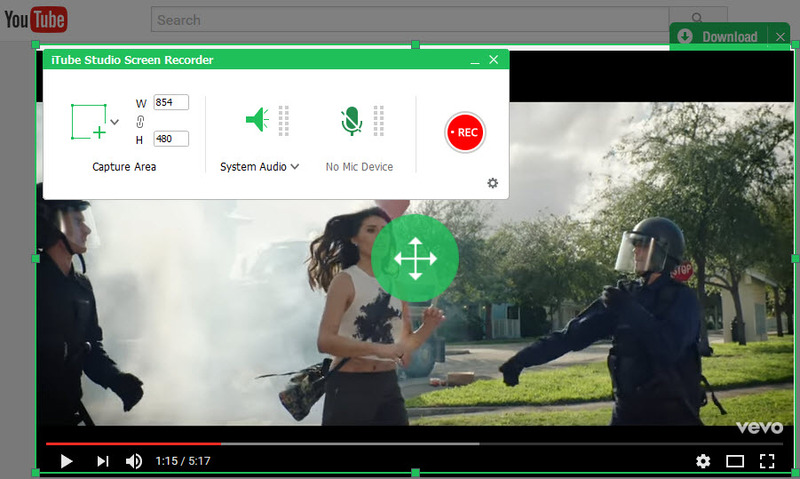 Drag the recording window frame to match the dimensions of the video on screen to record. 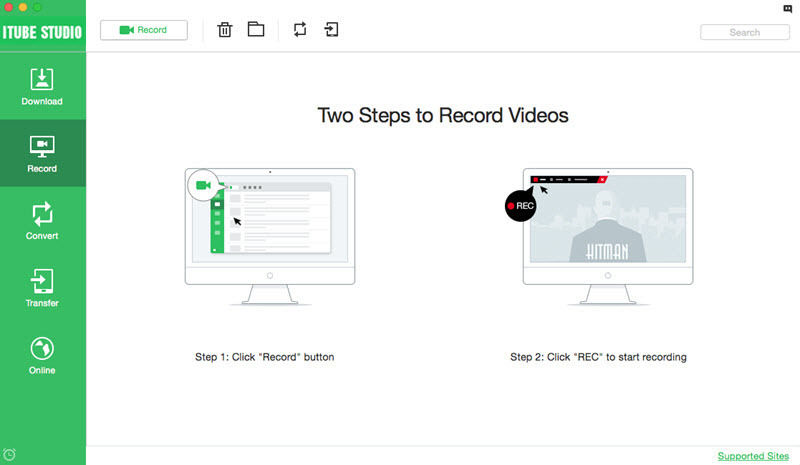 Click on “REC” button to start the process of recording. The stopping time of recording can also be set from the option “Stop at”. When you are done with recording the video, use the “Stop” button at the top. This will save the recorded video which can be found on the “Downloaded” interface. Video Download Capture is a very handy application which can be used whenever required. This can download videos as well as record videos streaming online which can be used if it is not possible to download videos. 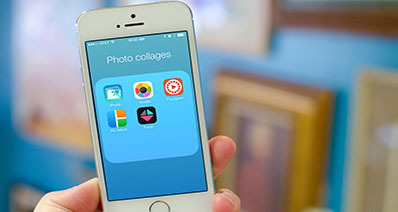 So, everything together makes this application a comprehensive application to download or capture videos.